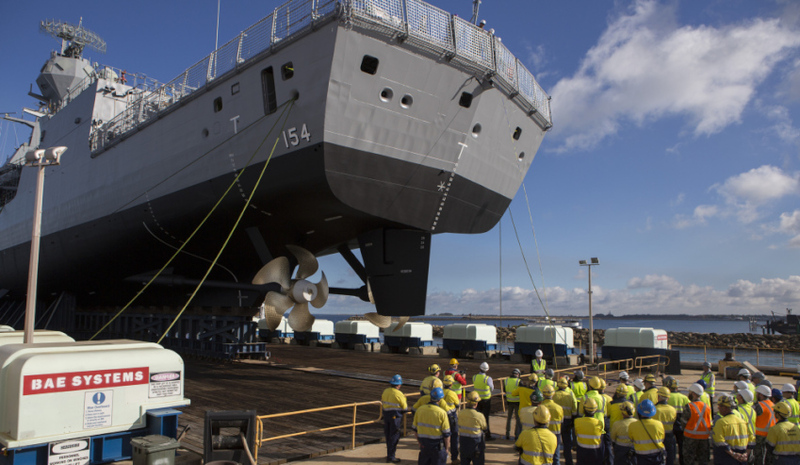 A ribbon ceremony being held during HMAS Parramatta's undocking after her Anti-Ship Missile Defence upgrade at BAE Systems Henderson Shipyard, Western Australia. Image via Commonwealth of Australia, Department of Defence. Western Australia’s Henderson Alliance is calling for overseas primes to conduct integrated packages of work in WA to capitalise on existing local capacity. The Henderson Alliance's co-ordinator Darryl Hockey told Defence Connect the group believes there is exceptional defence capability within WA, both in the already established defence businesses, as well as the oil and gas sector. "The finesse required to create complex oil and gas platforms, processing facilities and associated undersea metrology is extraordinary – and this engineering precision is readily transferable and directly beneficial to the defence sector," said Hockey. The alliance is inviting the large defence players to take a closer look at the capabilities of the WA defence industry and plan a more specific role for SMEs and industry clusters rather than trusting that high-tier work packages will just trickle-down to the small business sector on their own accord. "Henderson is easily the best laid-out industry precinct in Australia and as such is the perfect site to generate a high-functioning defence industry cluster to support the national shipbuilding and sustainment programs – all we need is the opportunity," Hockey said. "However, if the major works are swallowed by large vertically-integrated firms who manage their ebbs and flows with short-term hire from labour firms, then SMEs are going to largely miss out – this was a clear market failure for the WA economy during the resources construction boom, in fact many Henderson fabrication businesses went broke during this significant economic period. "A labour hire FTE is just a hollow number while a small business will always create real jobs which support real families, communities and industries – so let’s all aspire to an industry structure which maximises SME involvement so we can support sustainable careers, stimulate efficiencies and innovation and fully infuse small business economic benefits into the broader community." Avoiding more valleys of death across the defence industry through business diversification will be beneficial to both the SMEs and primes, Hockey said, echoing sentiments from other defence industry personnel. "Defence industry workflows are typified by droughts or floods, so the primes will certainly benefit if SMEs are engaged in other industry sectors so they become more commercially resilient and also bring in beneficial new skills and technologies," Hockey explained.